It used to be that pigs would roam the fields, nose to the ground, sniffing for the musk of a buried truffle. Once hot on the trail, the hog would rout down and down for the crest of the hidden truffle. At Seattle-based Truffle Dog Company, it’s dogs, not hogs, that do the legwork. Between them, owners Alana McGee and Kristin Rosenbach have seven dogs of various ages and breeds all trained to hunt. 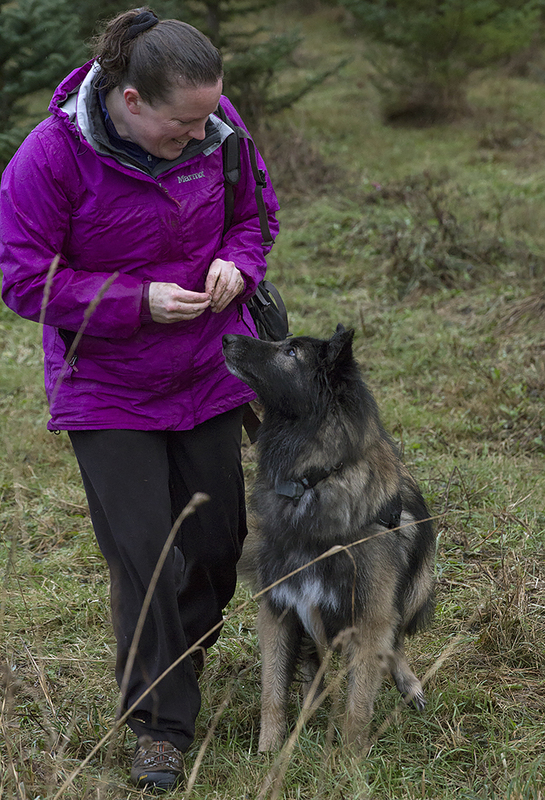 The company offers guided foraging expeditions as well as a training program for aspiring canine hunters and their handlers. 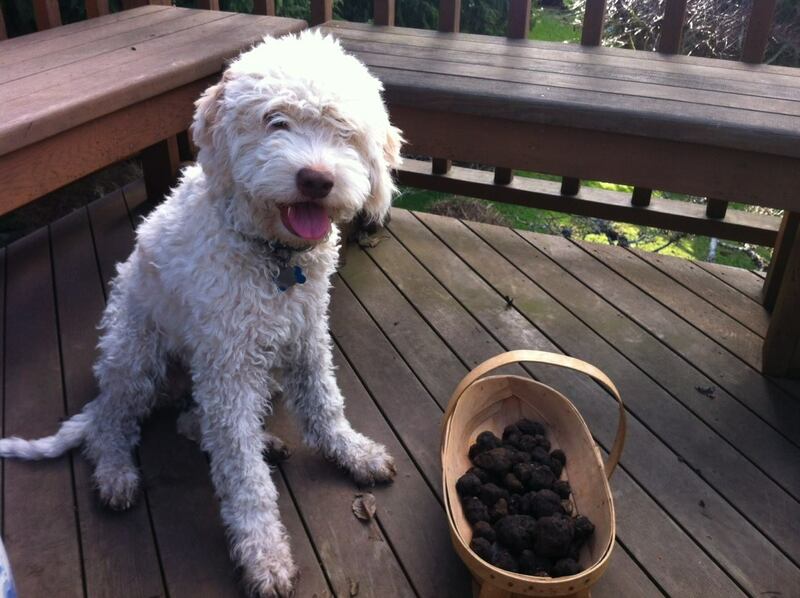 The Italians are known to rely on the Lagotto Romagnolo breed to hunt for truffles, but you can teach any dog — even an old dog — the tricks of the trade, says McGee. “It’s easier and sometimes faster to teach food-motivated dogs, because it’s a really strong drive. 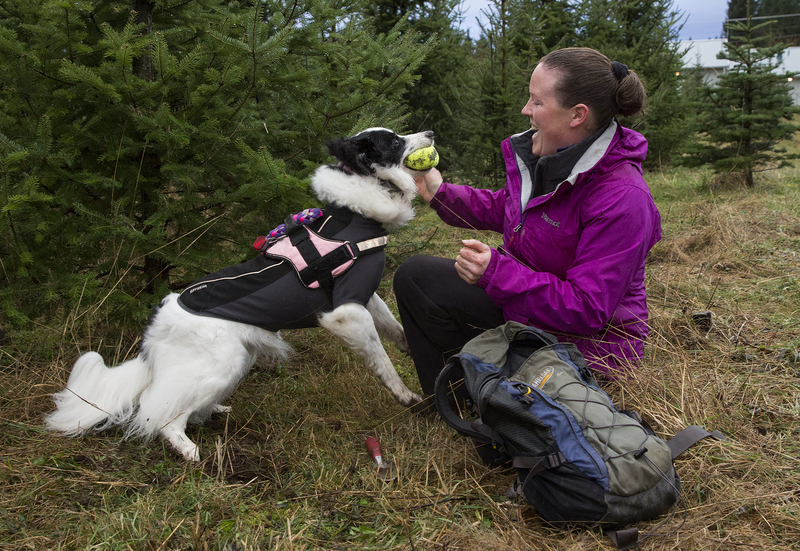 But you just have to find out what your dog likes and what makes them tick, and apply that to truffle hunting,” McGee says. The thing that makes Callie tick is her squeaky tennis ball. 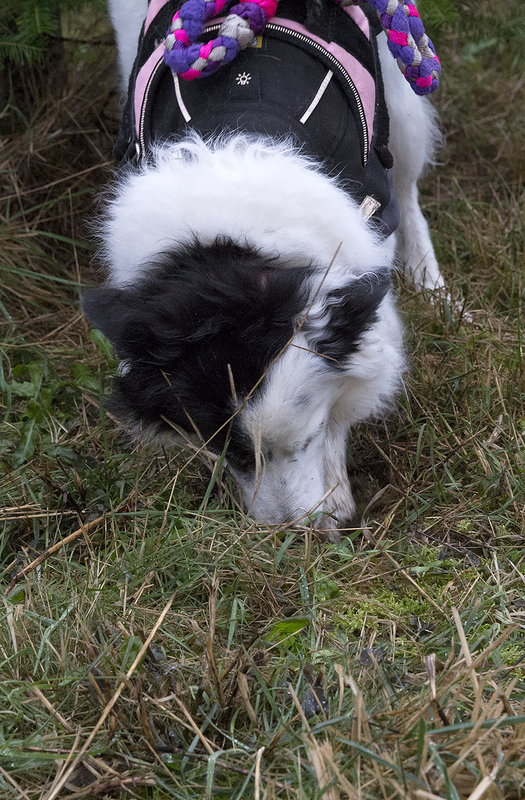 Each time the border collie alerts her owner to a hidden truffle, she earns a brief reunion with her treasured toy before the hunt resumes. Then the energetic pooch races down the field before suddenly stopping and homing in on a dirt spot. 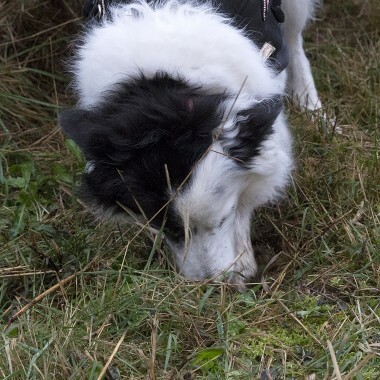 Using her paw, she digs down a bit, smells, then digs again until she hits gold. Owner Rosenbach Callie with praise, carefully digs up the found truffle and hands over the prize. Callie’s ability to zigzag down the soil with amazing precision makes her exceptional, says Rosenbach. 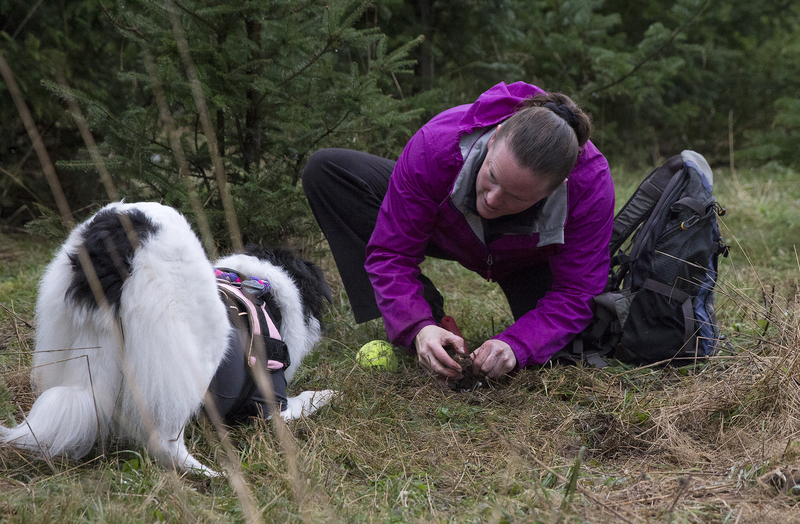 Rosenbach and Callie repeat this ritual numerous times throughout the truffle season, which peaks in the winter and early spring in the Northwest. 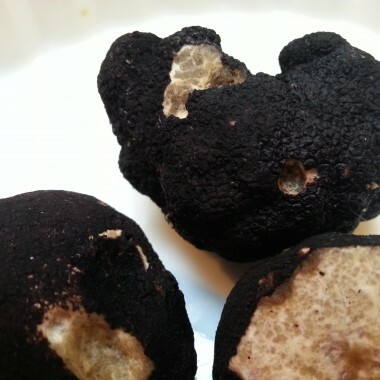 “The general rule is: The more miserable it is outside, the better the truffles,” McGee says, adding it’s not unusual to find pounds of truffles in just an hour during peak season. 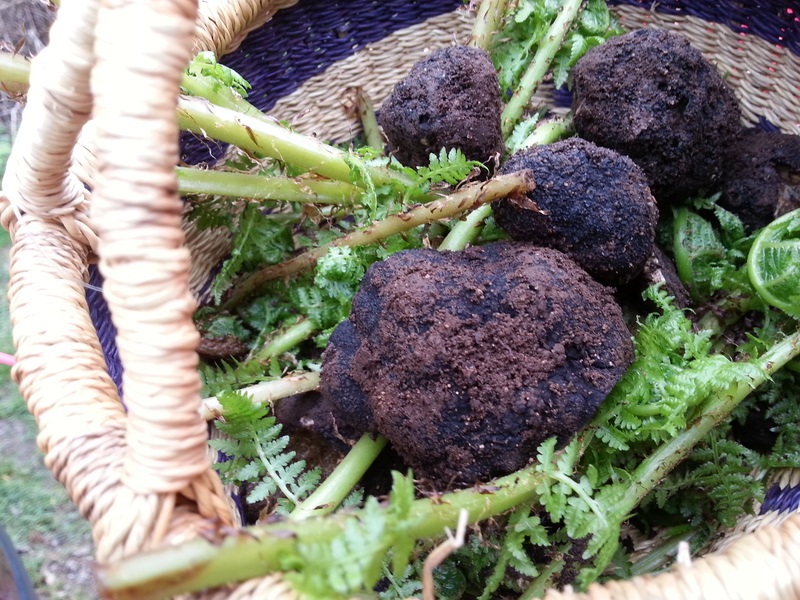 The truffles we eat are the fruiting bodies of the truffle fungus, which thrives on the roots of a host tree, maybe a Douglas fir or an oak. The fungus gets sugar and water from the tree. The tree, in turn, gets micronutrients that help it outperform its neighbors. 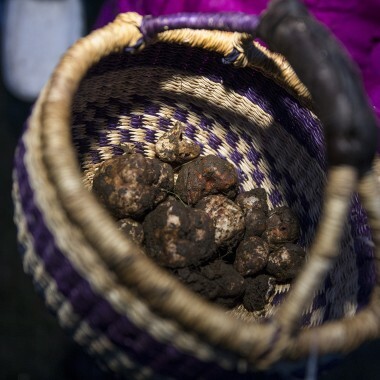 Truffles are mostly accidental fruits, though some people do try to cultivate them in orchards. To do so, they inoculate their tree roots in truffle spores before planting. 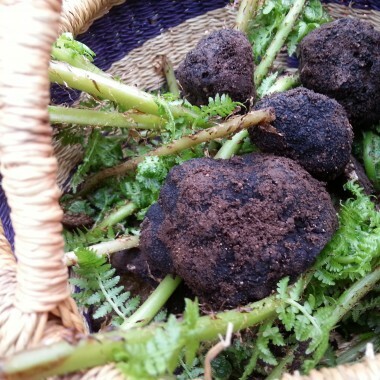 But inoculation offers no guarantee; after five to 12 years of high-maintenance soil care, the tree might yield edible truffles. Or not. 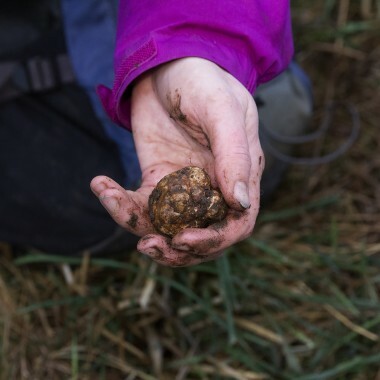 Local excursions unearth two native varieties of truffles: the Oregon black truffle and the Oregon white truffle. 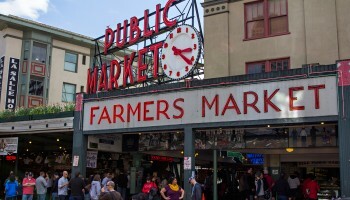 Though both named “Oregon,” the varieties can be found all over the Northwest, says McGee. 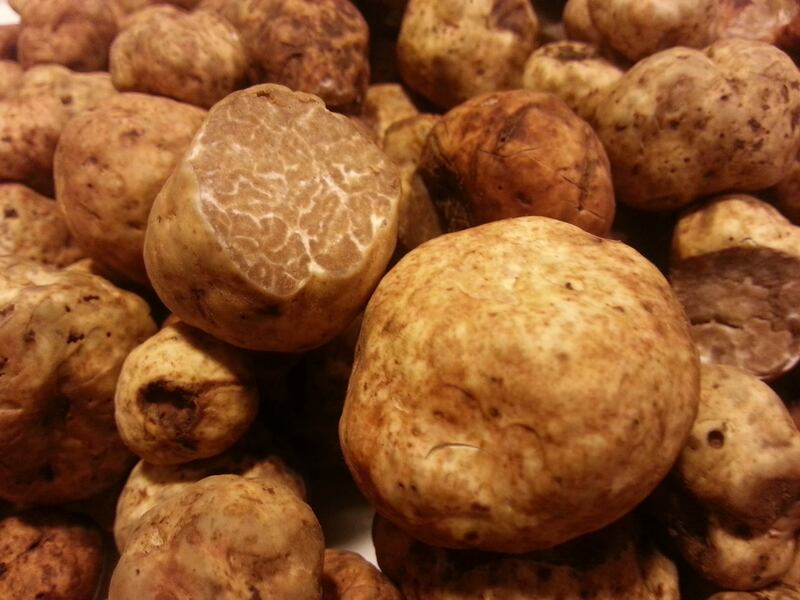 The white truffle has an earthy, “umami” smell more typical of truffles, says McGee. 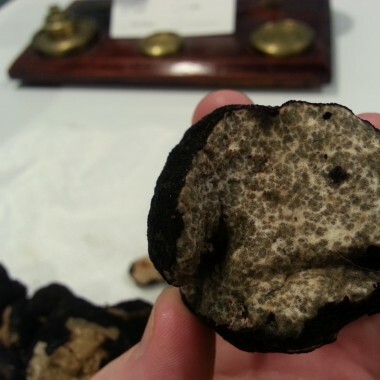 The black truffle, on the other hand, has an unusual, fragrant scent that borders on fruity. The natives sell for about $40 to $60 per ounce — not as expensive as the Italian varieties that run as high as $150 per ounce, but not cheap, either. 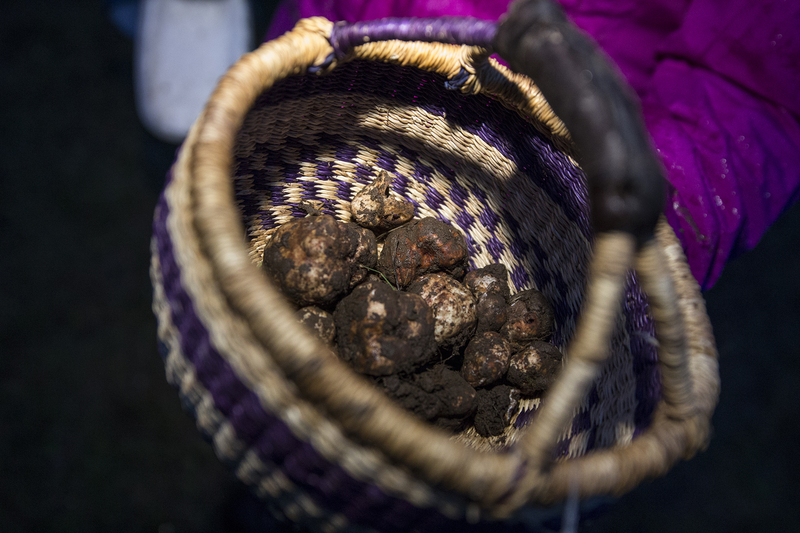 The black truffles, which tend to be bigger, can be as large as 2 ounces per piece. For years, the native varieties were harvested by raking the soil, without the help of sharp-nosed critters. 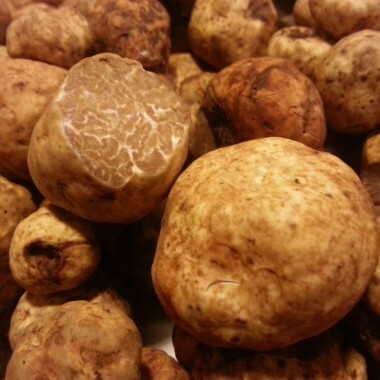 But the practice can not only damage the delicate tuber, but also yield unripe truffles that aren’t quite at their pungent prime. 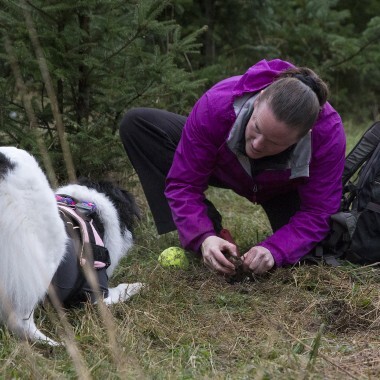 McGee and Rosenbach offer a training program for dog owners who want to teach their dogs to hunt for truffles. Their online course attracts students as far away as Tanzania and Australia. 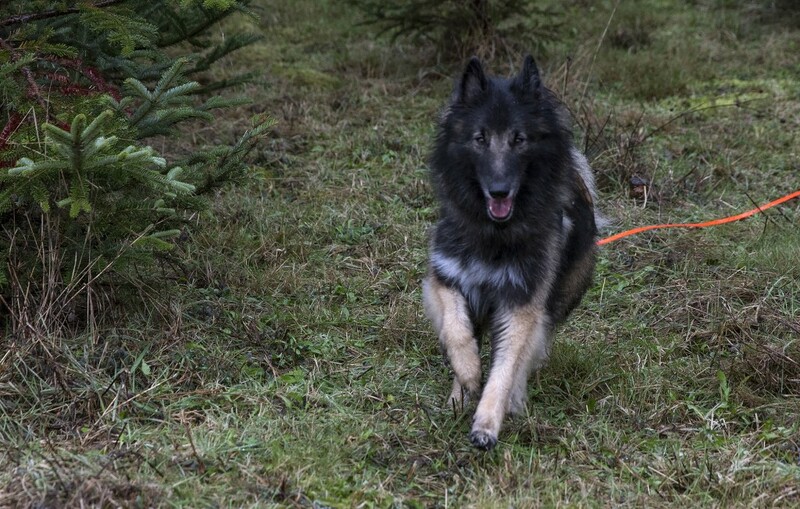 Some dogs are ready to hit the forest for a trial run in about 20 weeks, says McGee, though highly precise hunters like Callie take about a year to train. And there is no cookie-cutter curriculum. The dogs are always taught to signal on a reward-based system, but how they signal and how they’re rewarded depends on the dog. You can train any dog to do anything, says McGee, but it’s a good idea to build on their natural tendencies. 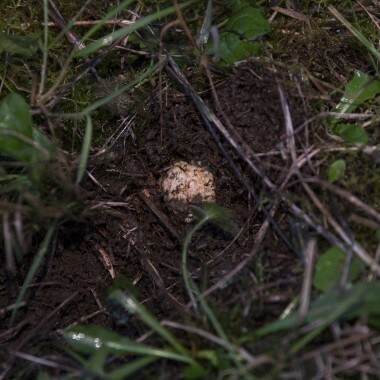 One of McGee’s dogs taps its paw on the soil above the truffle instead of digging down. Rosenbach’s sheltie, Cash, will first bark, then lie down and nose the target. Then, if his owner asks him to, he’ll dig down a bit. Another rule: It should always be fun, which means a dog should never be overworked — never more than a couple hours, and less on tough terrain — and a hunt should always end on a good note. 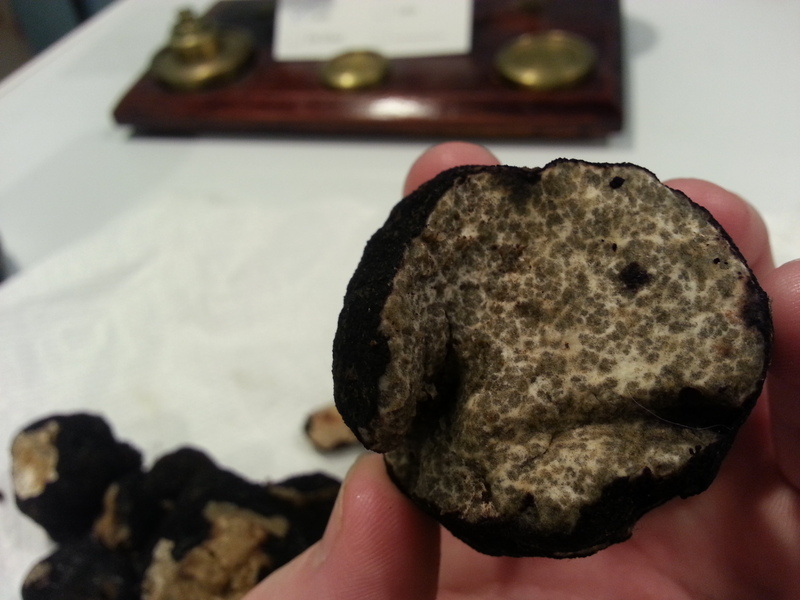 McGee and Rosenbach use real truffles to train dogs, never mind the price. They say it’s the only way to train them to hunt for all available truffles. 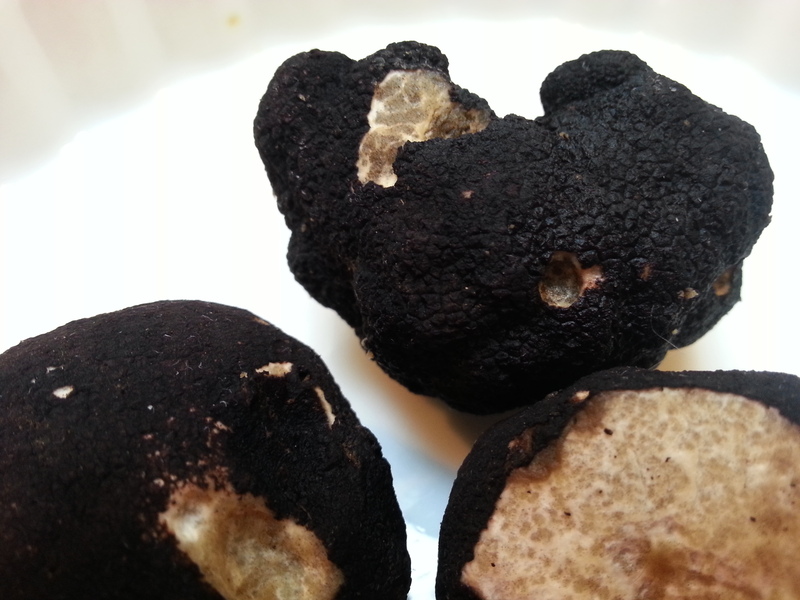 Even truffle oil won’t do, says McGee, as most are synthetically produced and contain just one chemical compound. 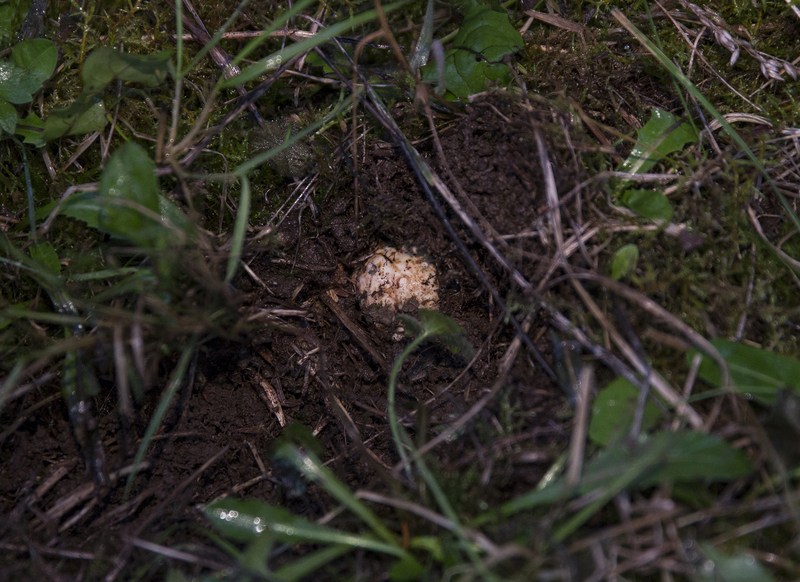 Part of training involves the occasional truffle lost down a dog’s gullet, though not often and usually because the dog’s excitement brims over. “We’ve built such amazing value into having them go out and do this that when they find one, they’re really pumped up and excited, and it just goes down the hatch,” McGee says. 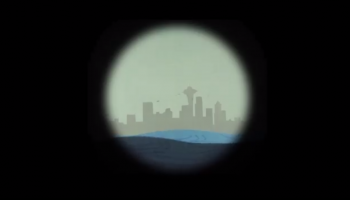 “You never want to create a scenario that’s a negative association, basically. So if they eat one, OK. They just self-rewarded. You move on,” she says. 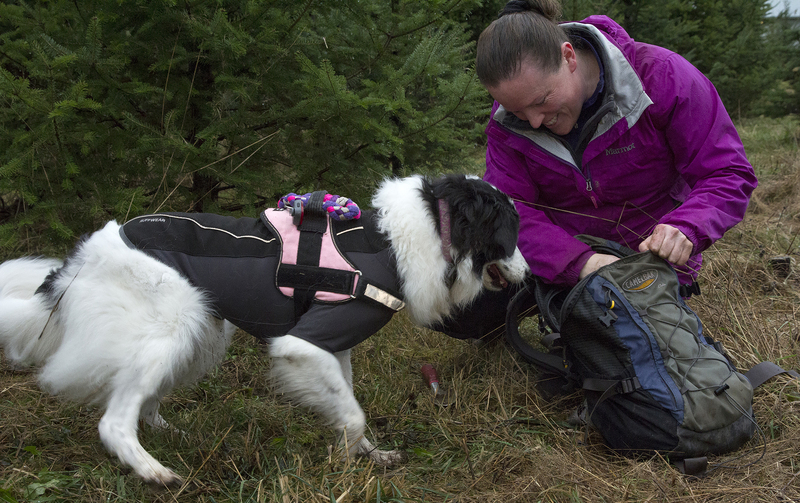 But perhaps the most difficult parts of truffle hunting has to deal with the handler, not the dog, say the trainers. 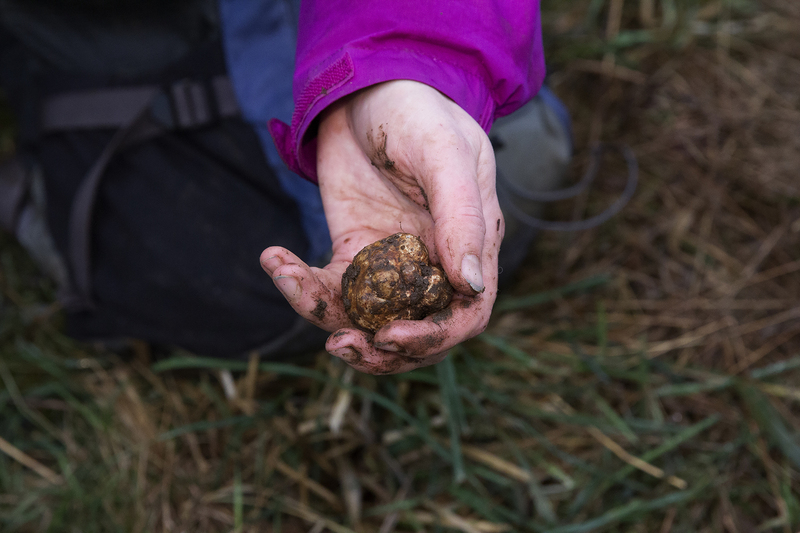 “There’s a working dynamic involved in truffle hunting, and it’s often really hard for us to teach it and explain it. 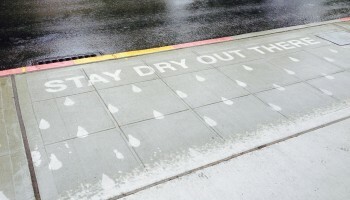 Most people end up getting it, but you can’t just lecture about it,” Rosenbach says. The human involvement goes beyond asking for a behavior, rewarding and repeating mechanically. For one, the handler must be calm and totally in the moment; any distraction or tension will prove unproductive. The required focus is a big reason why most handlers hunt with just one dog at a time. If the handler becomes even a slight bit stressed, says Rosenbach, the dog immediately absorbs the tension and mirrors it. The other crucial element is being fully focused on the dog. “We tell all of our students: Once you get your dog out of the car, give it 100 percent. Your dog’s going to give you 100 percent. Nothing else is important at that point,” she says. For McGee and Rosenbach, this — the relationship, not the harvest — is the most rewarding part of the hunt.